10. Scott Gomez. Let’s just get it out of the way, shall we? The Montreal Canadiens are paying Scott Gomez nearly the same number of dollars the Pittsburgh Penguins are paying Sidney Crosby. It’s a terrible contract. Everyone in the hockey world knows that, but the fact remains that Montreal knew exactly what the situation was heading into the season. There should have been plenty of time to react appropriately, so pointing the proverbial finger at Gomez does little good, other than providing fans with a scapegoat for the team’s struggles. 9. Brian Gionta’s injuries. After missing 11 games with a groin injury early in the season, Canadiens’ captain Brian Gionta returned to action in early January, only to suffer yet another set-back; this time a tear in his bicep. The unfortunate incident left the Canadiens’ captain-less for the remainder of the season. For a club struggling to find its identity in the suddenly competitive Northeast Division, the loss, both on the score sheet and in the dressing room, has proven devastating. 8. Jacques Martin’s “system”. Looking at the Montreal Canadiens forwards coming out of training camp, one would have assumed the plan was to be a high-flying, offensively driven hockey team. With a full stable of small, but speedy players up front, the Habs were essentially built for a run-and-gun offense, with Carey Price acting as an insurance policy at the back end. Instead, Martin tried (and failed) to implement a tight, defensive mentality. Apparently, no one told Jacques that you aren’t supposed to tow a trailer with a Porsche. The “system” eventually cost Martin his job, but not before it cost the Canadiens the first half of their season. 7. 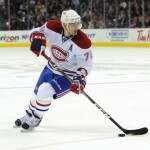 Markov’s knee. When Markov signed a three-year deal to stay in Montreal this past summer, there was a great deal of concern about the status of his surgically rebuilt knee. It turns out those concerns were more than justified, as Markov did not even skate with the team until just a few weeks ago. Things are looking better for 2012/13, but with the Canadiens tying up nearly $13 million between Markov and Gomez, 2012 has been nothing short of disastrous. 6. The shoot-out. What Montreal Gazette columnist Red Fisher refers to as simply “the gimmick” has been anything but cute or entertaining for the Canadiens. Despite the plethora of injuries, the team has found themselves in position to steal the extra point on 14 occasions so far this season. Only 5 times have they been able to do so. Carey Price has been less than sensational in breakaway competitions, but has been solid enough on most nights to give his team a fighting chance. The real issue is with the Habs’ shooters, who have converted on just 13 of 51 opportunities, ranking them 22nd in the league. 5. The fans/media.When Jacques Martin was fired and replaced by Randy Cunneyworth, a media firestorm ensued. 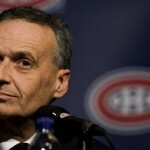 How could the Canadiens even consider being open-minded enough to give a good coach a fair chance? Surely, decades upon decades of linguistic discrimination must be worth something! What should have been a positive turning point for the team ended up as just another reason for the rest of the hockey world to roll their eyes and shake their heads at the circus that is hockey in Montreal. Rather than focusing on the on-ice product, fans and media alike clamoured to create yet another unnecessary soap opera, ultimately providing little more than a distraction from the real task at hand; winning hockey games. 4. Inability to finish. With goals coming few and far between this season, one would expect the Canadiens to have developed a knack for holding onto the few leads they were able to generate. Unfortunately, that was simply not the case. In games in which the Canadiens score first, they have an absolutely abysmal winning percentage of just .459. For a team that is supposedly built around a defence-first mentality, successfully protecting a lead less than half of the time is simply unacceptable. 3. The power play. Nowhere was Andrei Markov’s presence more sorely missed than with the man advantage. For a team which found itself atop the league’s PP rankings for the past several seasons, 2012 was a complete about-face. Currently sitting in 29th at just 14.7%, teams are simply not afraid to push the Canadiens around. They are a small group, easily intimidated, and have almost zero threat of retribution on the score sheet in the event of a penalty call. The Canadiens lack the offensive prowess of teams like Pittsburgh or Detroit, so opportunistic offense is absolutely critical to their success. In the National Hockey League, there is no greater opportunity than the power play, and time and time again the Habs have proven themselves incapable of cashing in. 2. Pierre Gauthier. It is more than a little bit amusing that there was such a significant uproar over the hiring of head coach who does not speak French, when for the past two seasons, the Canadiens have had a GM who doesn’t speak any language. Ever. The average fan knows more about what Brian Burke ate for breakfast than the entirety of Pierre Gauthier’s term as general manager. The Markov signing, the Camalleri trade, the Kaberle deal…all of these could very well have been based in sound reasoning, but we’ll never know. All we have to judge by is the results, and they’ve not been good. All of these deals were executed under the murkiest circumstances imaginable, and given the fact that Gauthier refuses to explain himself…fans are left with little choice but to place the blame for this season’s performance (or lack thereof) squarely upon his shoulders. Who's that guy behind the microphone? 1. They weren’t that great to begin with. It is as painful to write as it is to read, but the fact of the matter is that coming out of training camp, most experts had the Canadiens finishing somewhere in the 7-10 range in the Eastern Conference. Before the extent of Markov’s injury was fully known, before Jacques Martin was fired, before the coaching controversy, before Camalleri was traded in the middle of a shift…they were expected to maybe fight for the last playoff position. 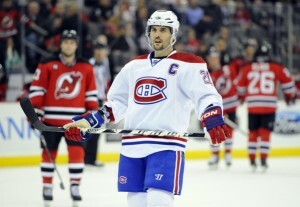 The saving grace for the Canadiens, like every other non-playoff team, is that 2012/13 is a brand new season. Teams like Florida, Ottawa, and St. Louis are just a few current examples of how a bad year does not necessarily mean that a team is doomed for the foreseeable future. The healthy return of Andrei Markov, along with high expectations for youngsters like Alexei Emelin, PK Subban, and Max Pacioretty could lead to success in hockey’s capital city sooner than later. And with one of the best goaltenders in the world in Carey Price between the pipes, we could just as easily be counting down the top ten reasons for the Canadiens success this time next year.